Although Jim began in theatre, he is best known as a songwriter and producer whose records have sold more than 190,000,000 million copies worldwide. 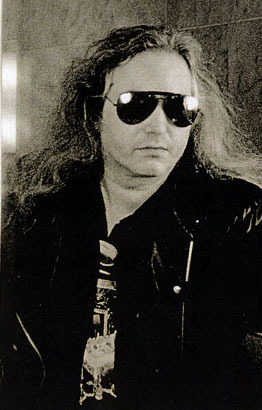 He was described by the L.A. Times as “the Richard Wagner of rock." While a student at Amherst College he wrote and starred in an epic musical called, The Dream Engine. It caused a sensation and Joe Papp, founder of the New York Shakespeare Festival, purchased the rights at intermission. His first professional musical was More Than You Deserve at Papp&apos;s Public Theater, where he worked for five years. When a singer named Meat Loaf auditioned for him, Spin Magazine called the meeting “one of the Top 10 most important moments in the history of rock and roll.” Their first record together, the legendary Bat Out Of Hell, is the biggest debut album ever and the third best selling album of all time. Jim is also the only person in the Top 20 Albums of All Time to have written all songs, music and lyrics, alone. In 1993, the sequel Bat Out Of Hell II: Back Into Hell topped the charts in 38 countries and spawned the global hit “I&apos;d Do Anything For Love (But I Won&apos;t Do That)." #1 songs include - for Bonnie Tyler: “Total Eclipse Of The Heart” (hitting #1 a remarkable four times - 1983, 1995, 2003 and 2017), and "Holding Out For A Hero,” for Meat Loaf: “Paradise By The Dashboard Light,” “Two Out Of Three Ain&apos;t Bad,” “Dead Ringer For Love,” and “I&apos;d Do Anything For Love But I Won&apos;t Do That" (which had the biggest rock single sales ever), for Air Supply: "Making Love Out Of Nothing At All,” for Celine Dion: “It&apos;s All Coming Back To Me Now,” (which was named the 1997 Song Of The Year by BMI for having had the most broadcasts worldwide), for Boyzone: “No Matter What,” (record of the year in the UK for 1998 and #1 in 18 countries - the most successful single ever released from a musical in history). He won a Grammy award as producer for Best Album of the Year, Celine Dion&apos;s Falling Into You. He made one platinum album as a singer, Bad For Good. Film music includes A Small Circle Of Friends, Streets Of Fire, Footloose, The Shadow, Mask Of Zorro and MTV&apos;s adaptation of Wuthering Heights. For the musical stage version of Whistle Down The Wind, Steinman wrote the lyrics and Andrew Lloyd Webber provided the score. This 1998 West End hit musical still tours the UK. Steinman wrote the score for Tanz der Vampire, a musical staged by Roman Polanski which opened in Vienna in 1997 to rave reviews and record box office. More than two decades later this musical is still selling out and has had numerous productions including runs in Berlin, St. Petersburg, Budapest, Warsaw, Helsinki, Tokyo, Moscow, New York and Paris, amongst others. In 2019 it will play in Oberhausen, Tokyo and St. Petersburg. 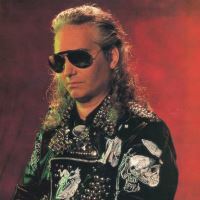 Jim Steinman was inducted in to the Songwriter&apos;s Hall of Fame in 2012. He received an honorary Doctorate Degree of Humane Letters from his alma mater, Amherst College, in 2013. Jim was entered into the Long Island Music Hall of Fame in 2016. In 2017 Steinman&apos;s dream project, Bat Out Of Hell The Musical, opened to near perfect reviews and sold out crowds at Manchester&apos;s Opera House. It went on to run at the London Coliseum, the West End&apos;s Dominion Theatre, Toronto&apos;s Ed Mirvish Theatre and the Metronom Theatre in Oberhausen, Germany. It will make it&apos;s highly anticipated New York debut later this year at the New York City Center in Manhattan. Jim&apos;s work has permeated popular culture the world over. His distinctive, over-the-top style has influenced a genre of music and such songs are often referred to as “Steinmanesque.” He is known as the “Father of the Power Ballad” and one of the founders of epic rock.